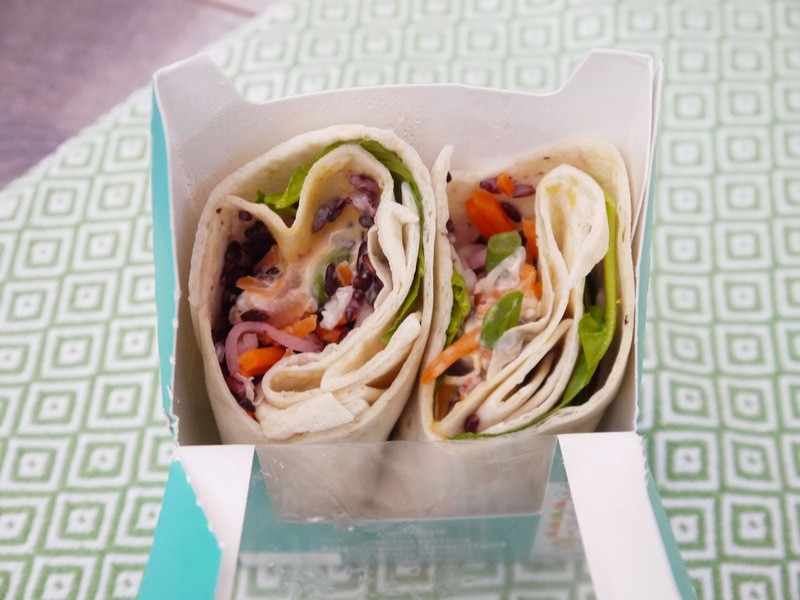 I've been trying to reduce the animal products in my diet lately, so I was really happy to see that Morrisons offer their own vegan wrap in their chilled grab 'n' go section. So happy, in fact, that I said "ooh how exciting" loudly enough for the nearby assistant to look at me, bemused. 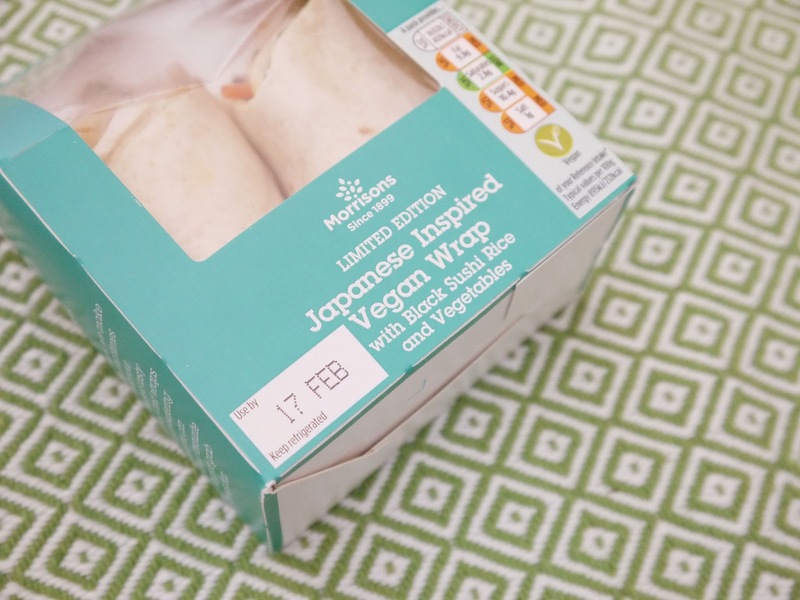 The wrap is clearly labelled with 'Vegan Japanese Inspired wrap' plus a vegan symbol, which is really handy. It's priced at £2.10 and is included in their meal deal, making it excellent value. The tortilla wrap itself is plain, and inside are vegetables in a garlic and chilli 'mayo' along with black sushi rice. I hadn't had this rice before, and it has a skin around each grain, making it a little bit chewy. The vegetables included spinach, carrot, and green bean. I was so pleased to see that there was no mushroom, and the crisp green beans were an unusual and welcome addition. The dressing was surprisingly creamy and had just the right amount of garlic. I didn't notice the chilli whilst eating the wrap but the heat hit me afterwards. Interestingly, I didn't experience any bloating afterwards as I usually would with a meat sandwich or wrap. It was satisfying without being at all heavy. The pack contained medium amounts of salt, sugar, and fat, but was pretty high in protein (9.6g) and fibre (4.2g), making it a good pick for anyone looking for a nutritious lunch as well as vegans. I did feel that this wrap was missing something, but not necessarily a meat or substitute, perhaps some cashews or soy sauce. Overall I enjoyed it and would eat it again. It felt like Morrisons had really put thought and effort into creating a vegan choice that was just as full of flavour as their other offerings, and I appreciated the varied textures they put in the wrap to keep it interesting. I'd love to see them expand their line and introduce items like seitan steak and onion baguettes, coconut cheese ploughman's sandwiches, and katsu tofu bowls. Morrisons, if you need a product tester, I'm your girl! Would you try this wrap? Ooh this looks so yummy! Great to see more vegan options available in stores :) I used to hate going on my lunch break sometimes and not finding anything at all so it's great there's so many new choices! I love the Morrisons meal deals - this one looks really nice! It's hard to get vegan or even vegetarian stuff in supermarket lunches so this is a step in the right direction for sure. 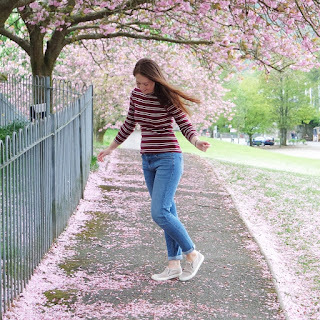 I'm loving how easy it is now to get hold of vegan/vegetarian options and how varied they are! It makes it so much easier to reduce our meat intake!